LIV is one of the first two vessels ordered by the Norwegian Rescue Society (founded in 1891). 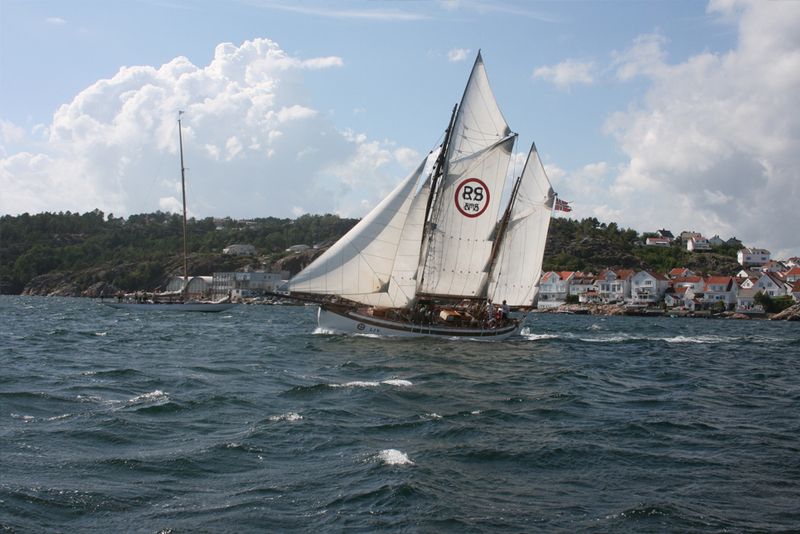 She was built in 1893 by Thor Jensen in Porsgrunn, based on Colin Archer’s modified drawings from Chr. L. Stephansen who won the design competition for a sailing rescue vessel. LIV did her service in Northern Norway from 1894 to 1932. During this period the statistics show that 132 people were saved from a certain death, 41 ships were saved and 1 338 boats and ships were assisted. LIV was sold in 1932 to the local Sheriff H.W Hansen at Ibestad, near Harstad and used by the sheriff for his service and also for control of the fisheries. In 1945, LIV was used as a ferry between Jakobsnes and Kirkenes, certified for 60 passengers. She was nearly condemned in 1963, but one person saved her and she was given back to the Norwegian Rescue Society (NSSR) and thereafter tugged to Kristiansund. While owned by Unni and Arne Smith from 1964 to 1997, the vessel was fully restored in 1979 at Hansen og Arntzen Boat builders in Stathelle, rigged according to Colin Archer’s rig drawings from December 1892. LIV has participated in 6 Cutty Sark Tall Ships races (1980, 1983, 1985, 1986, 1989, 1997) with very good results. She was First 1 in class, 4 times. From 1991 to 1993 LIV did a circumnavigation sailing the first part the Viking route to Iceland and Greenland. In 1995, she sailed up the Norwegian coast all the way to Kirkenes and continued further North to Bjornoya and Svalbard. LIV was taken over by Inger and Terje Smith in Autumn 1997 and has continued to be a family boat with a new generation growing up on board. 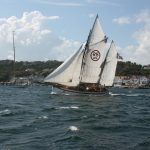 The time has now come to re-enter The Tall Ships Races again after a long break.